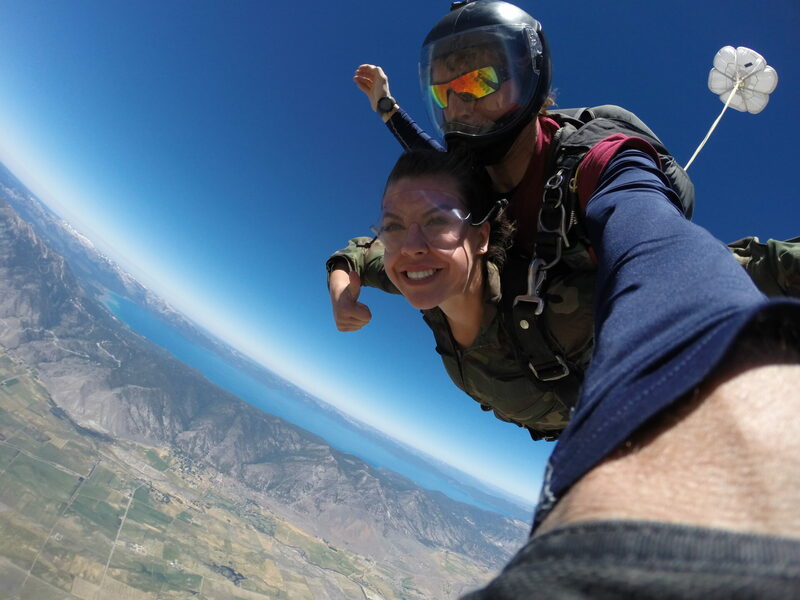 Skydive Lake Tahoe Operates All Year Long! Check out the Online Store for our best deals and to purchase products. 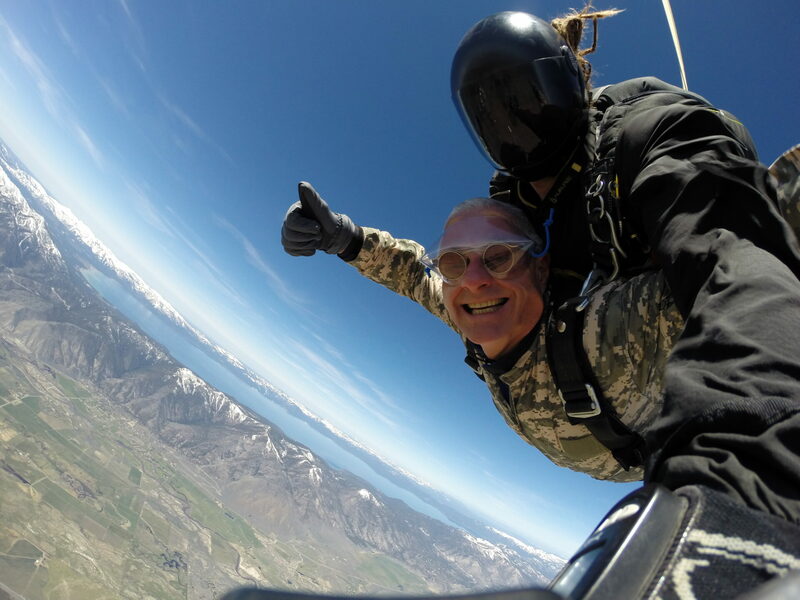 View our Video & Photo Gallery on Facebook. What should I wear? – Wear something comfortable and weather appropriate, no dresses or skirts please! 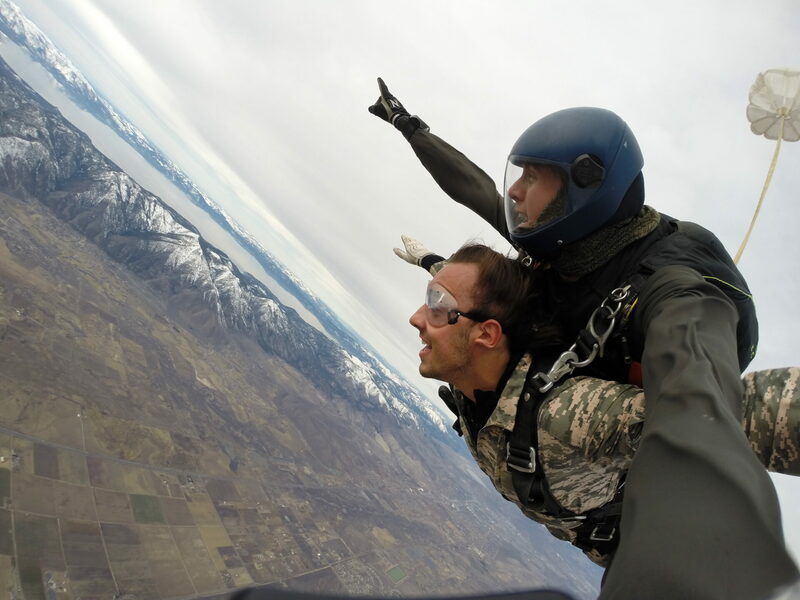 When you get here you will put a jump suit over what you are currently wearing. Can I wear my prescription glasses? – Yes! 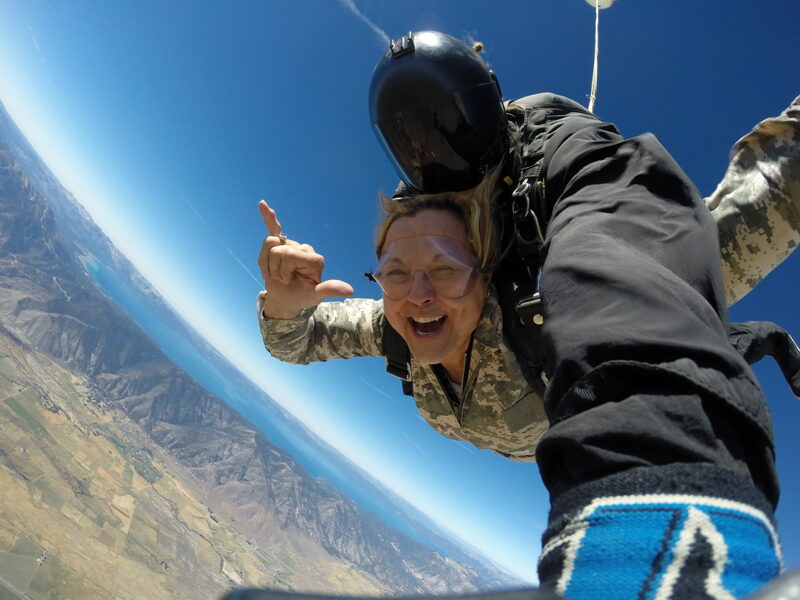 We want you to be able to enjoy the sights! How should I wear my hair? – If you have long hair please put it in a tight bun or a french braid. Please no clips or hair accessories as they will be lost on your ride down! What shoes should I wear? – You should wear shoes that are lace-up such as workout shoes. 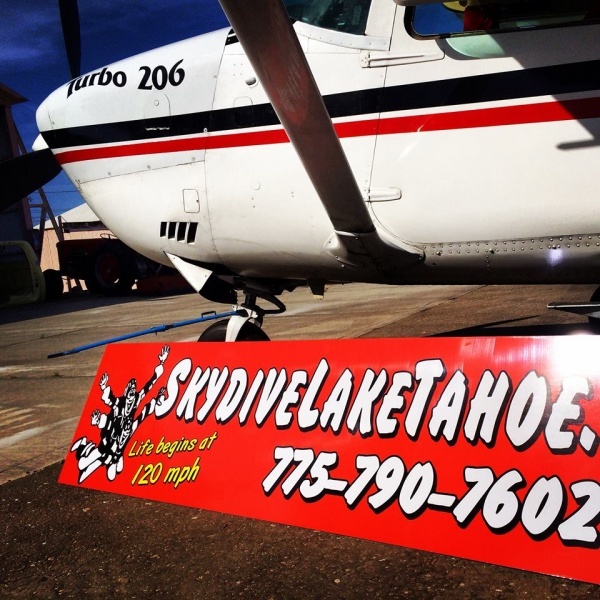 You have to be 18+ to skydive with us here at Skydive Lake Tahoe. 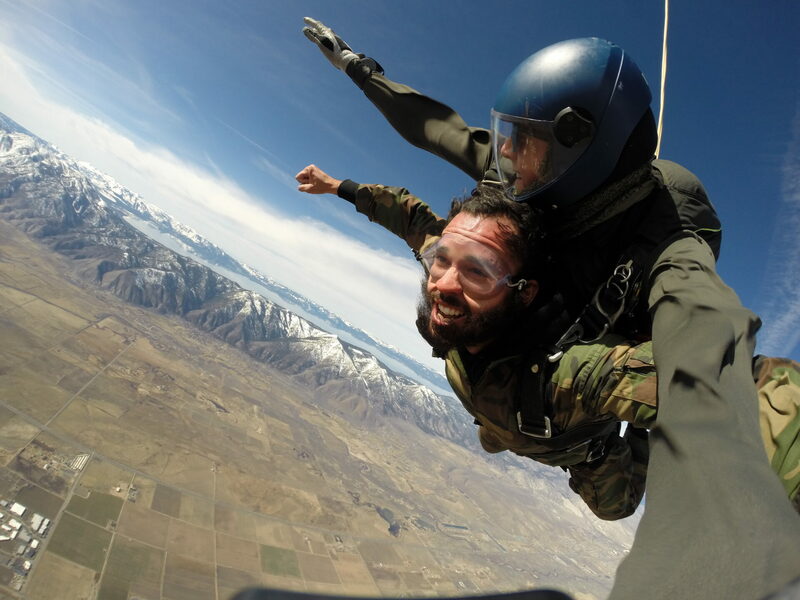 You must also have a valid ID with you on the date of the skydive. Nearly “One Full Minute” (60 Seconds!) 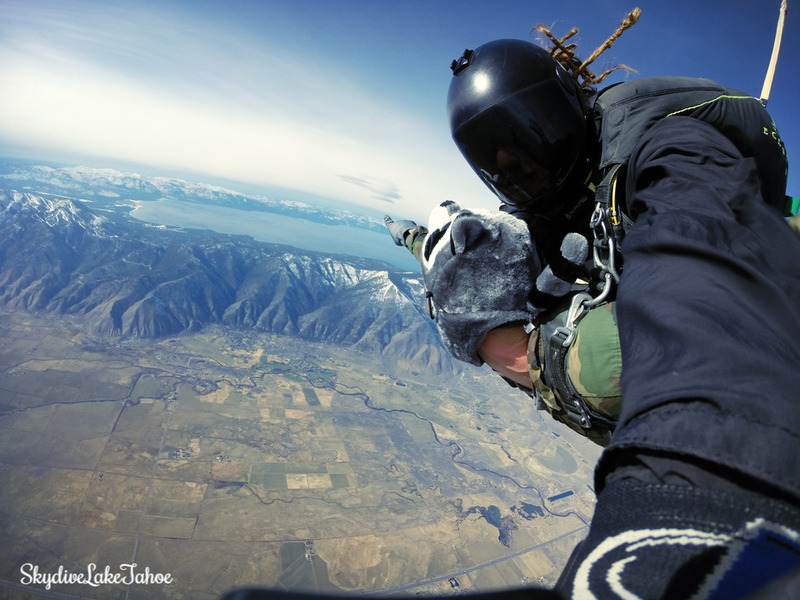 of exhilarating free-fall. Celebrate the event with watching friends and family. 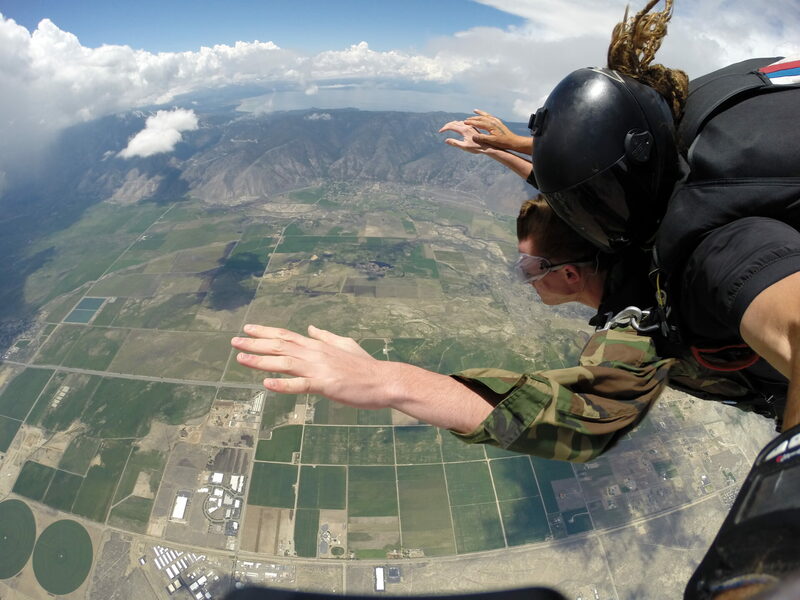 Current Specials on Skydiving Prices! Group Discounts Available. Group Organizer Incentives! 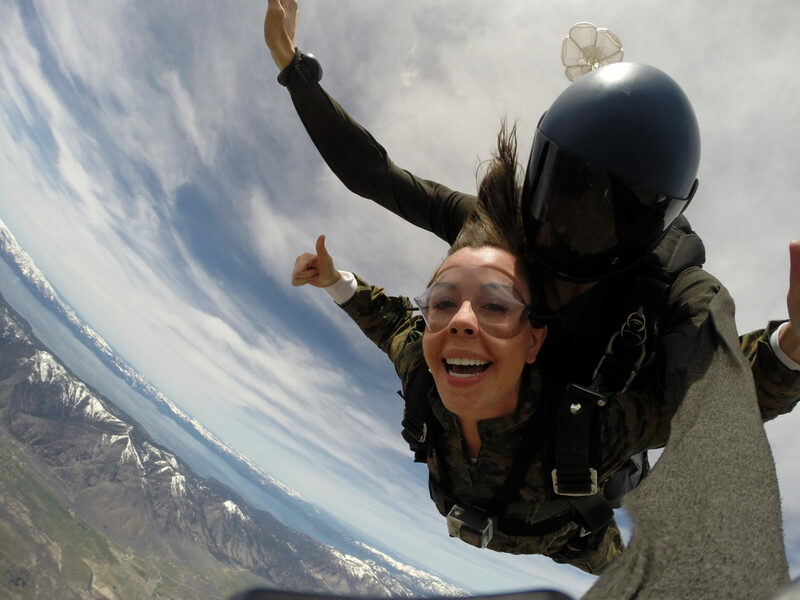 We look forward to having you join us in this amazing Tandem Skydiving Experience!